You may have seen the story of a 16-year-old boy who was allegedly shot and killed by policemen attached to Ijora Badia Division. It was also stated that the police are denying knowledge of the circumstances that led to the death of the boy, identified as Emmanuel Chukwu. 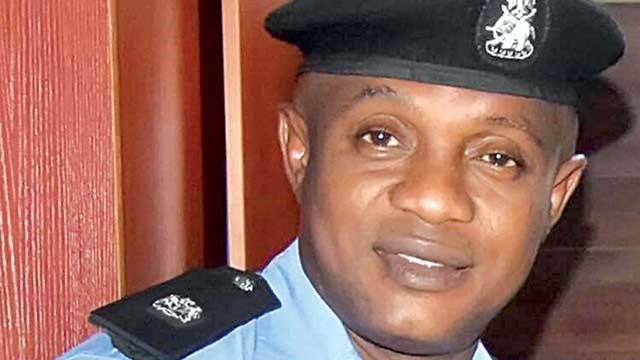 Lagos Police Public Relations Officer, SP Chike Oti, believes it has become necessary to set the records straight and clear the air on the issue. This Police resisted the attempt by the mob to raze down the police station, take the woman by force and cart away firearms and ammunition by using the tear gas. This had no effect on the surging youth brigands who were hell bent on completing the lynching action on the woman, burning down the station and killing policemen. In the ensuing melee, 8 of the hoodlums were arrested while others escaped. One locally made pistol with one unexpended/expended cartridges, cutlasses, 15 litres of Premium Motorola Spirit, dagger, charms and weeds suspected to be Indian hemp were recovered from the suspects. Furthermore, during the mop up of the areas, one of the hoodlums, who wore a red shirt with an inscription "Emma bullet", later identified as Emmanuel Chukwu 'm’, found with gunshot injury which he sustained during the fracas, was rescued and rushed to the Mainland General Hospital where he was confirmed dead. Corpse was thereafter deposited at the hospital's Morgue for preservation and autopsy. Sequel to the above, the Commissioner of Police Lagos State has ordered the State Criminal Investigation and Intelligence Department to carry out a full-scale investigation into the matter and come up with a detailed report.